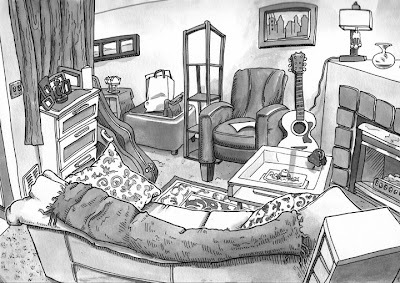 Frustrated by the cold, and having another cold myself (those darned kids) I've been drawing exclusively indoors all month. 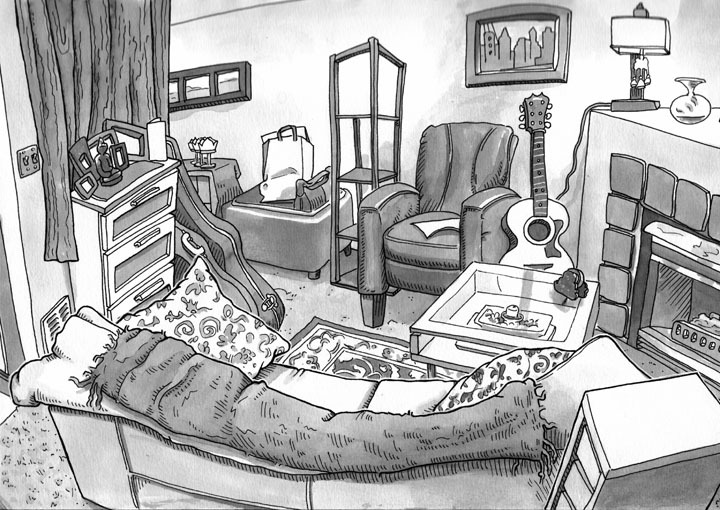 Here's the living room of a friend, drawn while she cooked dinner. 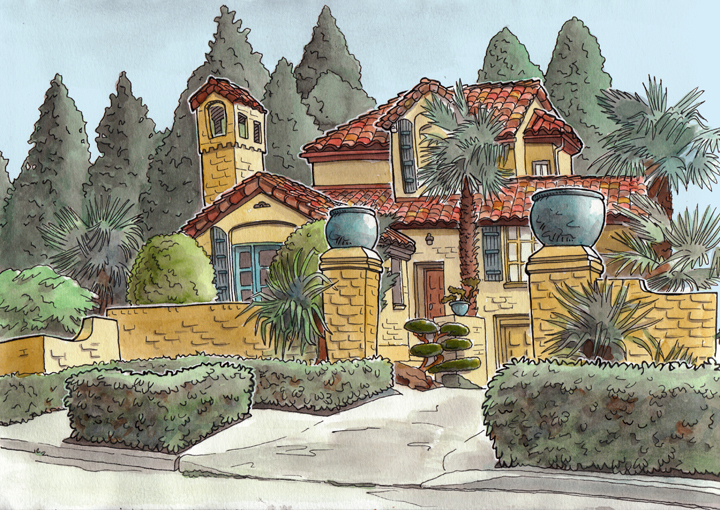 So when the sun finally came out yesterday, I rushed out to draw one of the fancier houses in my neighborhood for a little show of eight drawings I'll be having in April in the Magnolia Village. Color, even. I needed that. Your sketches fascinate me, Steve, as always. I love the contrast between these sketches..reveals spring fever! Enjoyed watching the video interview of you by Danny Gregory!